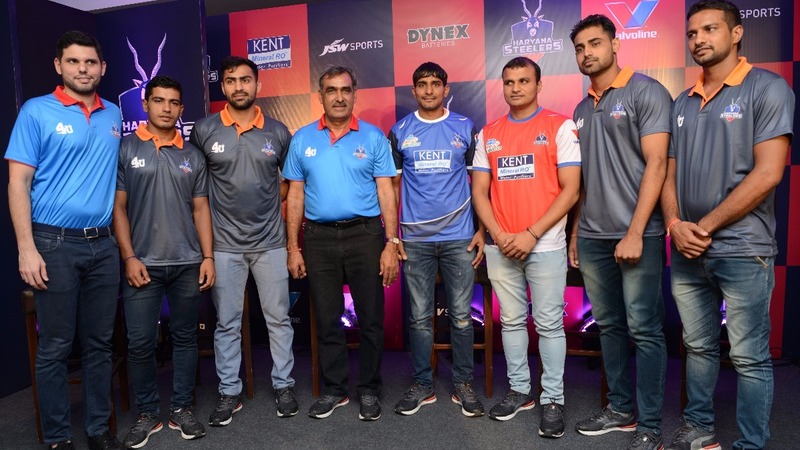 JSW Sports-owned team Haryana Steelers named local boy Surender Nada as captain for their maiden campaign that kicks off in Hyderabad, on July 28, the team announced at a press interaction, in Sonepat, on Monday. Nada will be assisted by another Haryana boy in Wazir Singh. The team has spent the last three weeks at a pre-season camp in Bellary, Karnataka and coach Ranbir Singh Khokhar said he was satisfied with the work his team has put in. “We have worked hard on technical, physical and tactical aspects as well as game situations and I’m completely satisfied with the way things have turned out. The coaching staff has spent time with every individual as well as the team on the whole and I can safely say that we are well prepared for this new season of the PKL,” said Khokhar. The PKL caravan reaches Haryana on September 8 where the Rai School in Sonepat will turn into a fortress for the Steelers who take on reigning champions in the opening game of the home season. Nada said he was delighted at captaining the team. 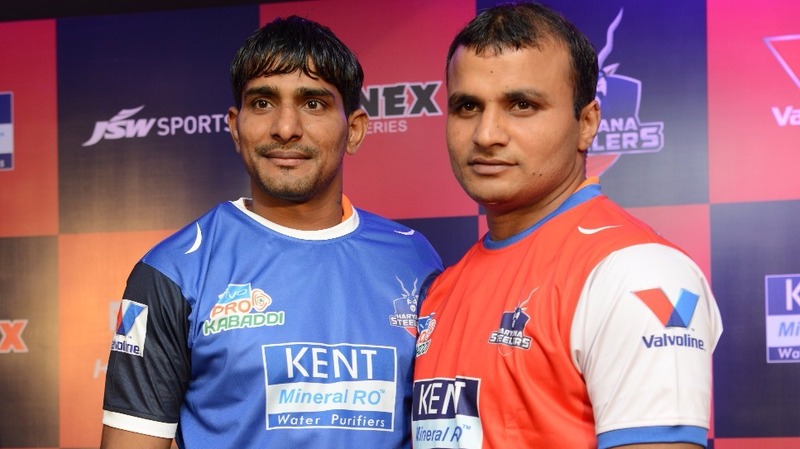 “Haryana has produced so many kabaddi players over the years and the sport has a fanatical following, which always left us wishing the state would have its own team in the PKL. It has finally happened this season and it is a great matter of pride that the coach and management have thought me worthy enough to lead the side,” said Nada. Arguably the best left corner defender in the country, Nada said he was confident that the Steelers’ home games would see good support. “Haryana Steelers is good for the sport and for the state of Haryana and I hope that we get support in big numbers. We will be making every effort to keep the fans happy. © Copyright Haryana Steelers 2018. All Rights Reserved.